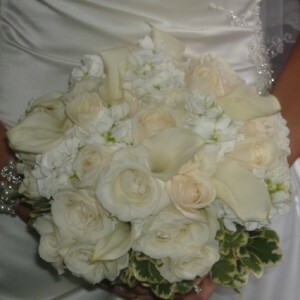 Let us create a beautiful bridal bouquet to help make wedding-day memories that last a lifetime! 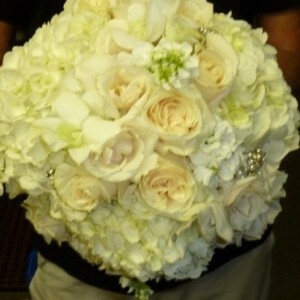 White and pink roses, miniature calla lilies, and hydrangeas are the flowers that make this timeless bouquet a treasure. 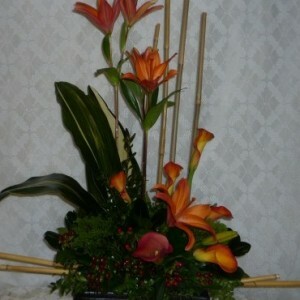 Different color combination are also available in this bouquet. 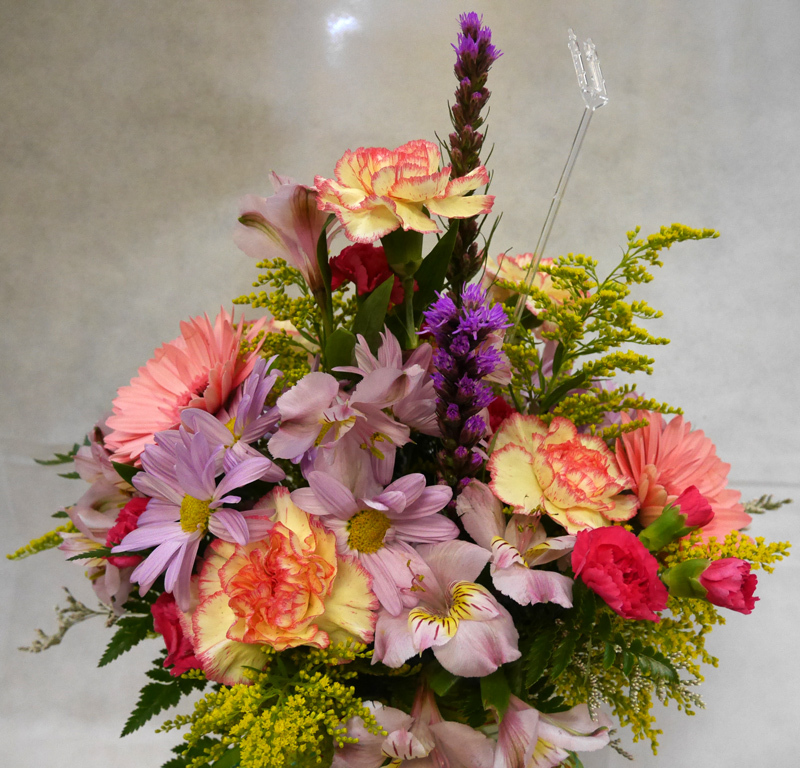 Some popular choices are light pink and light lavender. 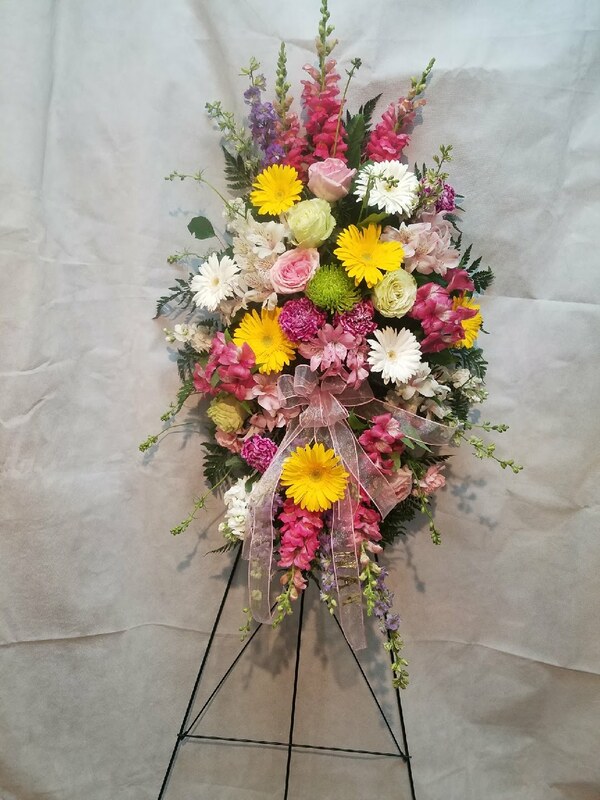 It can also be made as a contrasting piece, using the ivory hydrangeas and mini calla lilies as pictured, but then using red, dark red, yellow, or burnt orange roses to match your wedding colors. Pearl or rhinestone accents can be added as well for an extra fee. Please indicate your preferences in the comments box of your order screen.